SEB Engineering is a civil engineering and metal fabrication company established by Ronald Sezzibwa. His civil engineering operations range from the initial architectural design to the final completion of a house or premise. Metal fabrication primarily involves the fabrication and manufacturing of agricultural machines, the fabrication of metal doors, windows, sauce pans and gates, and specialized fabrication. SEB Engineering is a healthy, established business looking for growth financing to increase its technological capabilities. 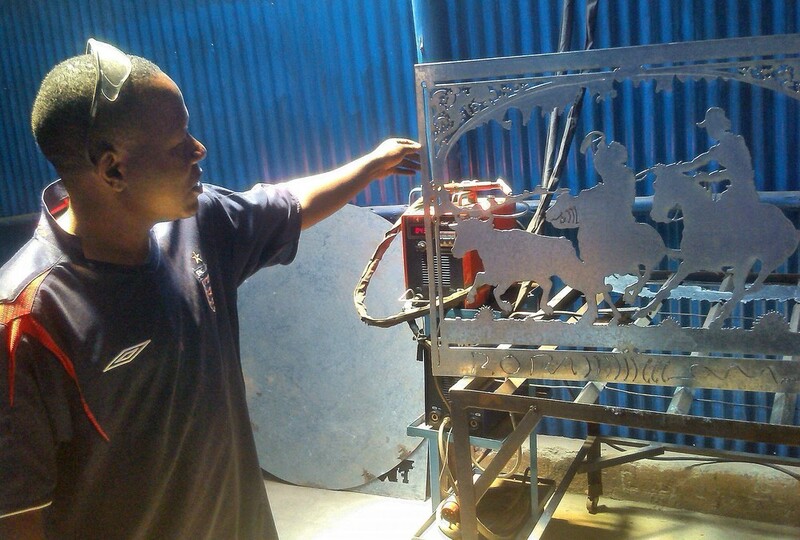 In 2014 Mango Fund provided a loan to SEB Engineering to cover the procurement a plasma CNC cutting system from the United States. 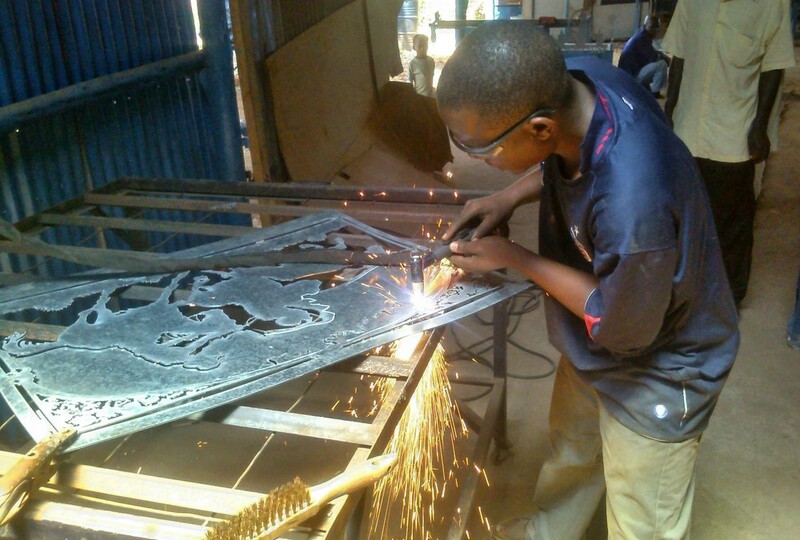 Ronald is the first manufacturer in Uganda who is able to deliver metal fabrication elements using this technology. Thanks to Mango Fund he gained a substantial advantage over his competitors from abroad as he can deliver his products immediately without bearing transportation and customs duty costs that importers incur. Olga Mugyenyi, Nadia Beghani, and Nahida Beghani are three amazing businesswomen who combine their passion for Africa-inspired design and strong entrepreneurial skills. DEF.I.NI.TION Africa is a fashion label and manufacturer producing t-shirts, polo shirts, cushions, stationary, and souvenirs. 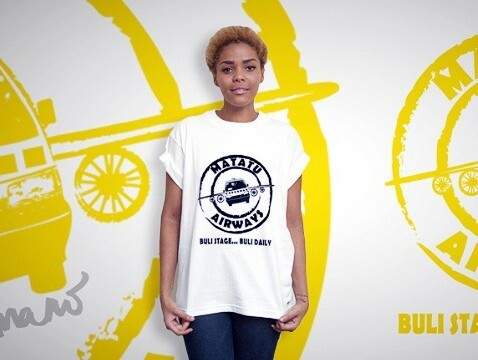 DEF.I.NI.TION’s products are inspired by the Ugandan culture and all materials are sourced and produced in Africa. Currently, they have one outlet in Kampala but they sell their products to all East African countries though their online store. DEF.I.NI.TION Africa was recognized by business channels of CNN, BCC and Olga, Nadia, and Nahida won the Young Creative Entrepreneur Award 2014 organized by the British Council. In 2014, Mango Fund provided a loan to increase DEF.I.NI.TION’s stock of working capital and delivered consulting services to Olga, Nadia, and Nahida to improve their business processes. Currently they are considering further expansion in Uganda and beyond. Rebecca and Eric Kaduru have developed five acres of land to commercially farm fruits and vegetables. Passion fruit is KadAfrica’s primary crop as the Kadurus recognize its potential on a commercial scale. 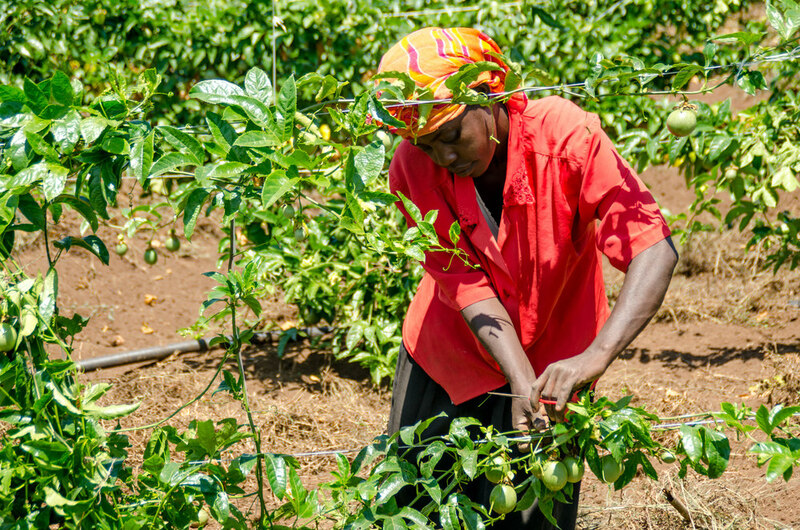 Almost all passion fruit produced in Ugandan is grown as a small-scale, household crop. KadAfrica’s commercial passion fruit farm is a major advancement for Ugandan fruit production. The farm will displace significant imports of passion fruit, thus keeping more wealth in Uganda. KadAfrica also delivers capacity building training to the local community. Girls Agro Investment (GAIN), a joint project by KadAfrica and Catholic Relief Services won a SEED Initiative Social Entrepreneur Award in 2014. KadAfrica was recently featured in Forbes as a business promoting youth employment. Mango first provided a loan to KadAfrica to expand its irrigation equipment to fight droughts and improve yields. Mango then made an equity investment with KadAfrica in December of 2012. 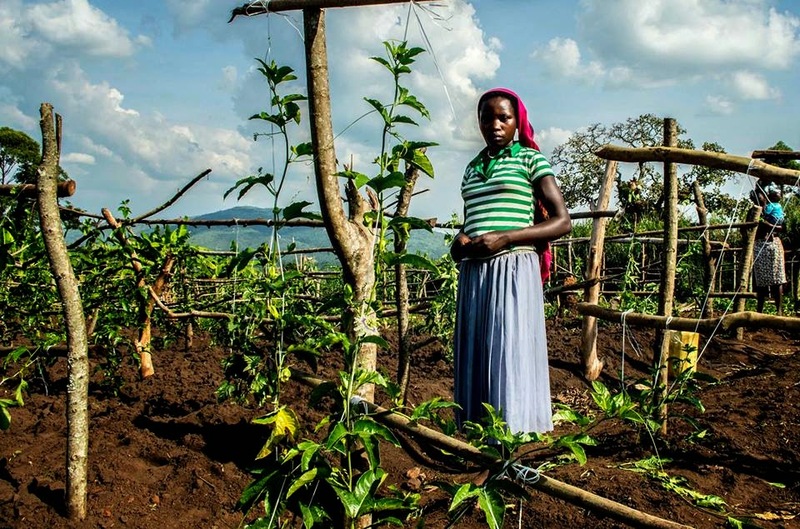 Mango Fund is thrilled to be a part of KadAfrica’s sustainable commercial farming practices. With its advanced crop rotation, intercropping and green housing, this farm serves as a model for the future of horticulture in Uganda. In 2009 Godfrey Musinguzi, after working over 10 years with major paint manufacturers in East Africa, decided to come back to Uganda and open his own business. Premium Paints & Chemical Product Limited is a paint manufacturer and painting service company with its own outlet in Mbarara in Western Uganda. Godfrey’s business approach is to deliver high-quality products at a lower price than the leading regional paint manufacturers. This small, but quickly growing company managed to create an impressive network of local institutional and business clients, such as schools and local construction companies. In 2014, Mango Fund gave Godfrey a working capital loan to expand Premium Paints’ inventory. Currently, the company has been gradually increasing its sales. Premium Paints is a good example of a local company that faces down major players in the market by providing high-quality products at the local level. Christine and Robert Mawanda buy plastic waste from garbage collectors across Kampala and turn it into reusable plastic pellets and other products that are sold on the Ugandan market. They have ingeniously developed a business that turns this destructive waste, and blight on the African landscape, into a profitable business. Mango provided a loan to Teefe Plastics to enable them to buy additional equipment in order to triple their production. Their business adds dramatic value from what would otherwise be waste, creating wealth in Uganda, and helping to preserve Uganda’s fragile environment. Alice Nyota Lunanga is a Congolese refuge who fled the ongoing civil conflict in the Democratic Republic of Congo in 2006. What started with a single piece of fabric bought with the last of Alice’s savings has become Don De Dieu – a thriving business with over 30 employees. Don De Dieu produces Congolese-style apparel that celebrates its culture with bright colors and rich embroidery. The success of this single mother of three can be attributed to her confidence, hard work, and natural business savvy. Mango provided a working capital loan for Alice to build her clothing inventory. Potential customers are now satisfied as Alice can now stock apparel of various sizes and colors. As her business grows, her employees benefit through commissioned based pay and on job training for personal development. If Alice is not at her shops, she is likely tracking down the best materials across Africa, promoting Women’s Empowerment, or spending time with her children. Several years ago Martin Ssali launched a tofu business to enter into the growing Ugandan market for healthy living products. He had moderate success, mostly selling to the expatriate population. Recognizing that Ugandan’s prefer sausages as their means to enjoying their meat products, he developed a soy sausage. After some initial product testing, it appeared that these sausages would be a huge hit with Ugandans. Mango Fund gave Smart Foods a loan to roll out the sausage product to a number of grocery stores and restaurants around Kampala. This product is an innovative way to add value to inexpensive soy. As Martin grows his business he hopes to launch a host of products that incorporate soy and other vegetables as meat substitutes. Martin’s business creates wealth and provides healthy food options to an otherwise saturated-fat focused market.